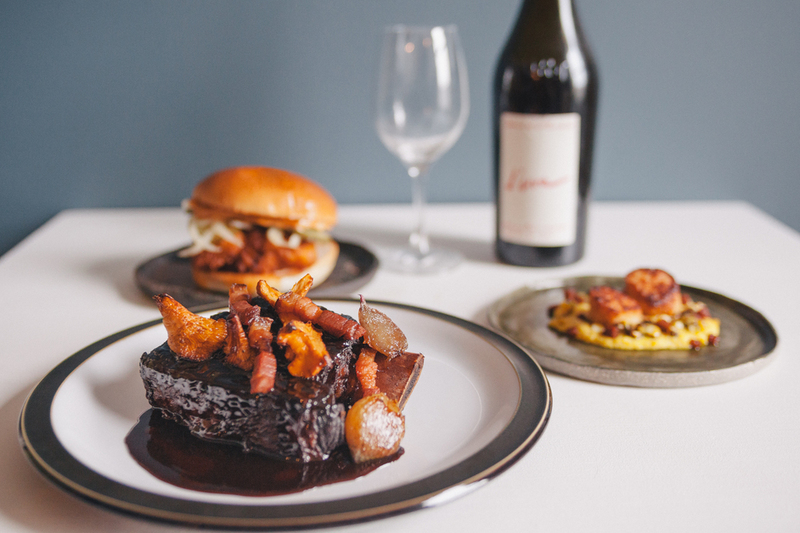 He co-founded street food favourite Le Bun, hosted a sell-out pop-up with Kelis and in summer 2018 Andy Taylor returns to the London restaurant scene with Carte Blanche on Mare Street. Serving foie gras and escargot tostadas as well as pork jowl with smoked beets the 50-cover restaurant combines indulgent French flavours with American comfort food classics. The natural wine list is inspired by the wines Andy enjoyed - or perhaps over-enjoyed - in Parisian back street bars. Modest, stripped-back and with a collection of abstract, print-based artwork hung on the walls, the dining room is lined with simple white tables while an open kitchen allowing diners to see Andy and his team at work. Dropping by for a quick bite? Take a seat at the wooden stools by the bar and enjoy a glass of wine with fried chicken topped with caviar. Carte Blanche gyms, sporting activities, health & beauty and fitness. The best pubs near London Carte Blanche. Carte Blanche clubs, bars, cabaret nights, casinos and interesting nightlife. Where to have your meeting, conference, exhibition, private dining or training course near Carte Blanche. From cheap budget accommodation to luxury 5 star hotels see our deals for Carte Blanche hotels, including Courthouse Hotel Shoreditch from 80% off.